First 2 classes for each martial art are FREE! Call Declan on 0435 012 390. You can start classes at any time and participate in any class without any previous experience. Wing Chun Kung Fu classes for 8-13 years. Gracie Jiu-Jitsu classes for 6-13 years. Martial Art Games classes for 5-8 years. Children’s martial art classes won’t just teach your child self-defence, but how to avoid fighting. By teaching your child to be verbally assertive, our aim is to instil confidence so that he or she can deter bullies without resorting to violence. We want to help your child develop self-defence skills without becoming a bully themselves. Our children’s classes help kids develop physically and mentally with a focus on dealing with bullies. We begin with building children’s confidence and self-esteem by approaching all of our classes with a teaching methodology that emphasises positive reinforcement. We also want to help children develop into good human beings and are vigilant against kids in our classes developing bullying tendencies themselves. We don’t want them to be victims or bullies. We want them to become the child who will stand up for others as well as themselves. Our children’s classes will help your child develop his or her co-ordination, core strength and balance, overall health and fitness, promote physical and mental maturation, and most importantly, foster each individual child’s good character and discipline. All of our classes are designed to be as much fun as possible while educating children about self-defence. No martial art is magic and no child can be made bully-proof in just a few classes. However, with consistent and focused training, our promise to you is that children will quickly learn to defend themselves. Some children are, of course, either shy or more timid than others. Some kids have little co-ordination or athletic ability. It doesn’t matter. All children are capable of learning how to defend themselves and others. Some will be better than others at it, but all can become good at it. The secret to it is making the class enjoyable enough to keep your child wanting to come back. A child’s inability to confront a bully is often deeply-seated in a fear of physical violence. When children are taught to defend themselves their confidence grows. We teach them how to stand up to a bully who may only be verbally attacking them, thus averting a physical confrontation. Those of you who have children who are already being bullied, please contact us and let us know the specific situation. This way we can take into account your child’s specific needs. Our instructor, Declan Eipper, has taught children martial arts and held a “Working with Children Permit” since 2012. Declan was bullied himself as a child and has the compassion and empathy to help your child deal with, and if necessary, confront bullies. He will help your child develop psychological resilience to bullying. Children’s Wing Chun Kung Fu classes are held three days per week: Thursday, Saturday and Sunday. They are appropriate for children between 8 and 13. Your child will be taught: to deflect and redirect punches, kicks and other attacks rather than attempting to fight force with force. Wing Chun Kung Fu is a striking art and your child will be taught to kick and punch (when appropriate) if attacked. The age for participation is older than that for other children’s classes because of the greater difficulty in performing basic techniques. A higher level of maturity and focus is required to enjoy Wing Chun classes. Children’s Wing Chun Kung Fu classes last 50 minutes. Children’s Gracie Jiu-Jitsu classes are held three days per week: Tuesday, Saturday and Sunday. They are appropriate for children between 6 and 13. In a playful environment, children’s classes begin with Jiu-Jitsu games that help your child learn the fundamentals of Gracie Jiu-Jitsu. Children are taught how to avoid bullying, while quickly becoming equipped to defend themselves if physically attacked. Children’s Jiu-Jitsu classes teach self-defence techniques to negotiate with bullies and, when necessary, neutralise them physically without having to use striking techniques. Children’s Gracie Jiu-Jitsu classes last 50 minutes. Children’s Martial Art Games classes are held on Tuesdays and Thursdays. They are appropriate for children between 5 and 8. These classes are designed to be pure fun. The martial arts elements are “hidden” in the play. While participating in games, children will learn skills, techniques, stances, disciplined movement, balance, co-ordination and much, much more without detracting from the fun of the games. 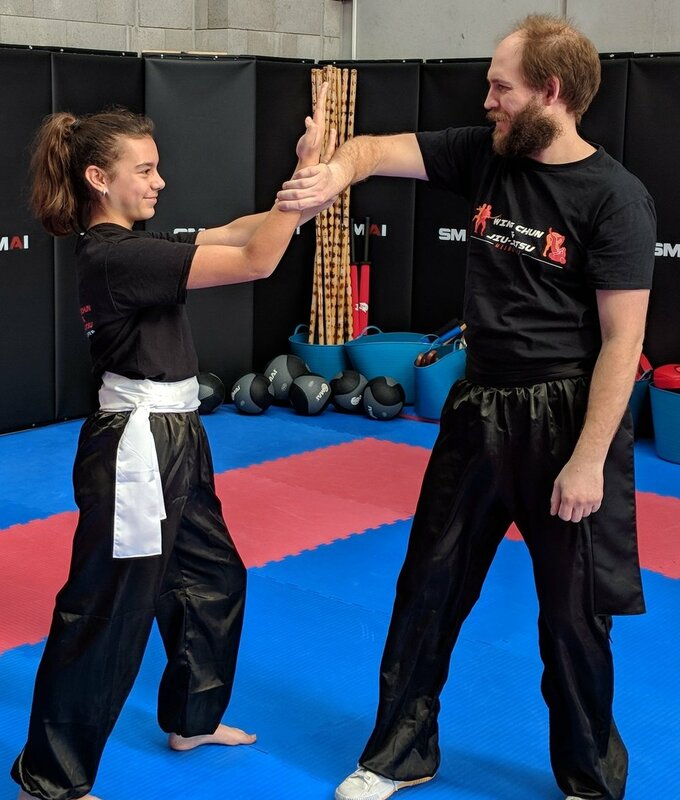 Whereas the children’s Wing Chun Kung Fu and Gracie Jiu-Jitsu classes focus on self-defence, the Martial Art Games classes concentrate on equipping kids to defend themselves by developing physical fitness, core strength and stability as well as self-esteem and confidence. The program is designed around 30 games that relate to self-defence situations. Children learn to work as a team. They will learn to help their friends and not leave them behind. Older children will learn to look after and guide their younger counterparts. They will be taught not to fear a bigger and stronger opponent, because skill is often more important than strength. The ethos of these classes is centred on developing respect for everyone while cultivating courage. They will intuitively discover what few understand: martial arts can be as much about co-operation as competition. Children will develop body awareness, spatial awareness, footwork and positioning. They will be taught not to give up, to be determined and show courage. They will be taught that being a good sport and having fun is more important that winning. They will be taught to learn from their mistakes; that you can’t always win, but you can still have fun. 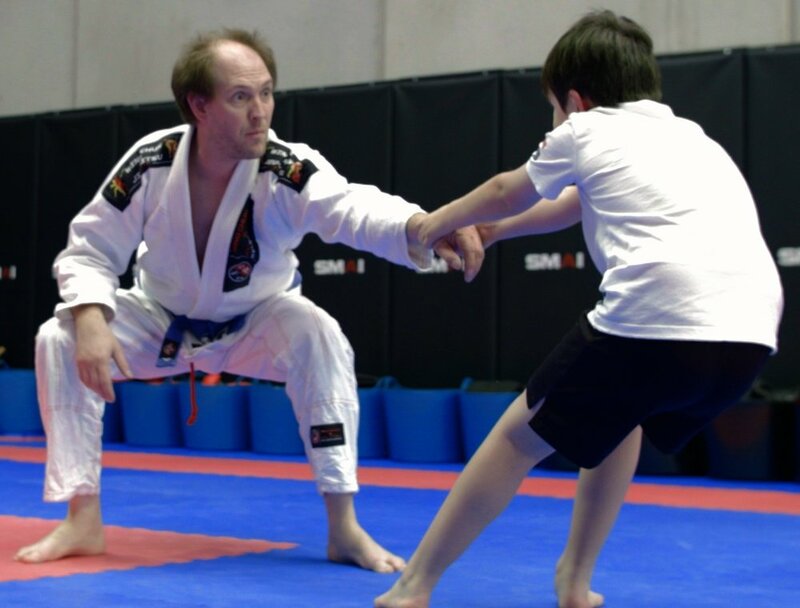 As children become more experienced, they are introduced to basic grappling and take down skills, positional control of an opponent, and how to use an opponent’s force against them. Children who participate in these games will become energised and motivated to begin either Wing Chun Kung Fu or Gracie Jiu-Jitsu classes. Wing Chun & Jiu-Jitsu Melbourne aspires to help children begin the journey of learning how to protect themselves. Our hope is that they fall in love with martial arts and never again have to worry about being bullied, whether as a child or as an adult. Children’s Martial Art Games classes last 30 minutes. Teenagers who are 14 and over will need to be assessed by an instructor to join the adult classes. 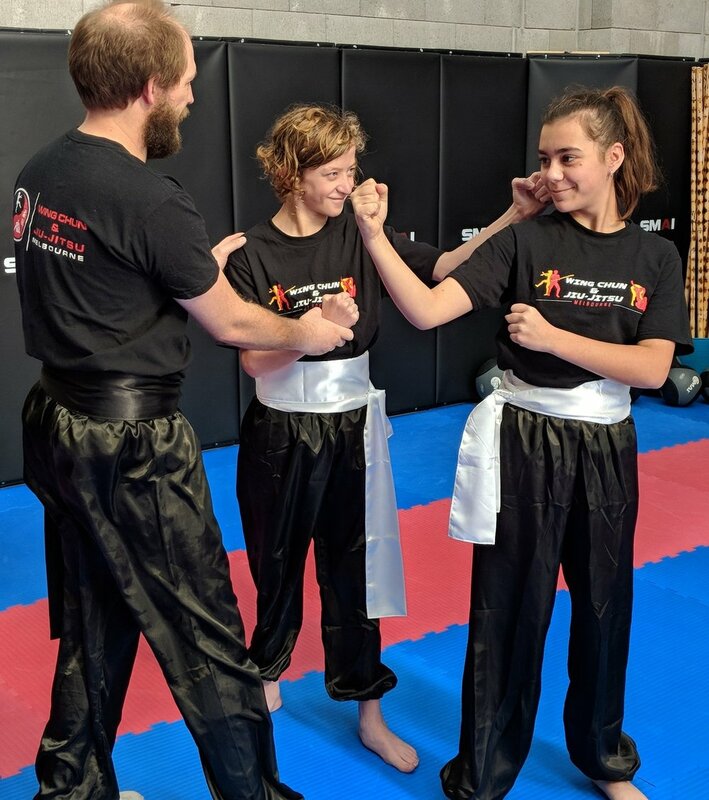 © 2018 Declan Eipper and Wing Chun & Jiu-Jitsu Melbourne.